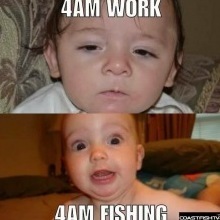 The cold truth, however, is that operator error is responsible for most poor fishing sessions. Fortunately, most bad habits are easily correctable. Here are 10 of the most common bad habits-and how to correct them. 1) You fail to replace old or worn-out line. Worn-out line hinders lure manipulation, blunts strike detection, and fails when you need it most. Respool all reels with fresh line at the start of the season. Thereafter, anglers who fish often should change lines at least once a month. You only need to replace the last 50 yards of line for most fishing applications, which cuts expenses. Retie all knots before each outing. When casting, frequently run the last few feet of line between your thumb and forefinger. If you feel any nicks or abrasions, immediately cut off the damaged line and retie the knot. 2) You assume your hooks are sharp. Not all new hooks are sharp enough and even those that do pass muster eventually dull. Test every hook by lightly touching the point to the back of your thumbnail. If the point bites, you're in business. If it slides across your nail, you've got work to do. For details on how to sharpen a hook, see "Getting the Point" on page 112. 3) You have a lure fixation. When your favorite lure fails to produce, you may change colors, but you all too often stick with the same bait. Instead of investing in a dozen different hues of the same lure, load your tackle box with an assortment of offerings that cover the water from top to bottom. If your pet bait draws a blank, switch to something that runs shallower or deeper-or shows fish an entirely different shape or action. 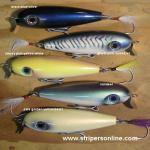 If you work a lure at the right depth with the proper speed and action, some fish will strike regardless of the color. 4) You consistently have trouble putting the lure into the payoff zone. Practice casting on a lawn using buckets or magazines as targets. This quickly improves skills because it lets you engage in several brief casting sessions through the week and concentrate on technique and rather than trying to catch fish. In addition to the overhead cast, perfect a low trajectory sidearm roll cast that drops lures under overhanging cover. Also learn to cast over your opposite shoulder so you can hit the mark when fishing in tight quarters, such as a crowded boat or an overgrown bank. 5) You never bother to learn new water. Don't spend all day fishing a spot that produced a good catch some time in the past. Break the habit by forcing yourself to venture to new locations for a least a few hours during each outing. 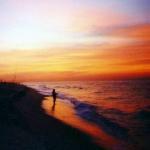 The more you know about a given body of water, the better choices you'll make regarding where to invest fishing time. Study topographic maps to gain an overview of the water and to find bottom structures. Use a depthfinder to pinpoint promising underwater hangouts found through map study. 6) When the bite slows, you immediately move on. Even after a frenzied fishing pace slacks off, more fish usually remain in the area. You're generally better off staying with fish that are biting, even sporadically, than to look for more active fish somewhere else. Odds are you won't find them. Stay put and try different lures and retrieves. The fish may have moved deeper, tighter to cover, or only a short distance away in the same general area. 7) You set up too far or too close to the target. 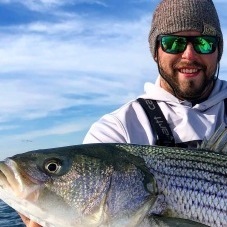 Whether fishing from a boat, the bank, or while wading, shrewd anglers gauge each target and diligently work to gain the best possible position before they cast. The first cast to a given spot affords the best opportunity for a strike, provided you hit the mark. A poor presentation may alert the fish and make it less inclined to strike on subsequent casts. 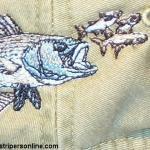 Get close enough and cast within your abilities, but avoid getting so close you spook the fish. 8) You seek sheltered water when the wind kicks up. Though blustery weather hinders fishermen, it often puts fish on the feed. In this case, use wind to your advantage. Drop anchor upwind of the fishing area and cast downwind. To cover larger areas, such as shorelines or weed edges, drift with the wind and cast ahead of the boat. When fishing underwater haunts, such as points and humps, drift over these structures while dragging lures behind the boat. 9) You fish for one species only. Take advantage of peak periods for different fish and avoid the inevitable slumps that occur when you concentrate on one species only. There is usually more than one desirable gamefish in any body of water. In most instances, some species bite better than others at certain times of the year and under different conditions. In many natural lakes, for example, northern pike and walleyes are the first to bite well in the spring. The next peak action comes from smallmouth bass, followed by largemouth bass, crappies, and bluegills. Follow this natural progression and reap consistent catches. 10) You look for hotspots rather than patterns. Hotspots are rare; patterns are not. Fortunately, learning to pattern fish is easy. Essentially, you're looking for circumstances (rather than locations) that produce strikes. For example, if crappies are taking jigs 2 feet deep in buck bushes in the back of one cove, this same approach should work in the backs of other coves. If a crankbait catches bass from a secondary gravel point off the main lake, other secondary gravel points should give up bass to the same lure. Potential patterns are many and varied. Learn to unlock them and you'll piece together good catches when others struggle. I have been guilty of all of those things at one point or another. Sometimes many or all of them at the same time perhaps. Mickey I'm with you, undoubtely you learn more by your mistakes rather than your success. Yes Thankyou for the post. I read the article you mentioned and read it again just now. Most of these points are fundamental and even for someone who has "time" on the surf it is always good to read again. Thanks. Knock off the Italian stuff.